Cataract formation causes a clouding of the lens which leads to blurred vision as well as loss of contrast sensitivy and the ability for maximum light to reach the back of the eye or the retina. According to the National Eye Institute, "by age 80, more than half of all Americans either have a cataract or have had cataract surgery." 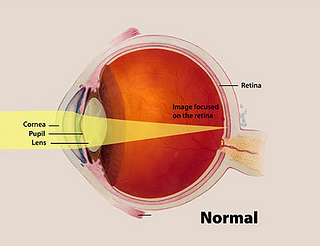 Many people who have macular degeneration also have cataracts and the combined affect of the two eye diseases greatly impacts one's vision. VisionCare, Inc, the developers of the implantable macular degeneration telescope, which is FDA approved and Medicare eligible, has made it their mission to "improve vision and quality of life for individuals with untreatable retinal disorders." The majority of patients who have been implanted with the telescope and received training with low vision specialists, have experienced the benefits of improved central vision and independence. However, up until now, patients with end-stage AMD who had cataract surgery with an IOL implant were ineligible for the retina implant. 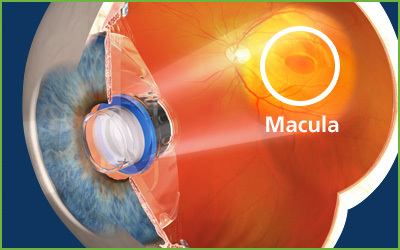 “Cataract surgery is often performed on patients living with macular degeneration in the hopes that an IOL will improve contrast and light. However, studies show that patients who progress to End-Stage macular degeneration do not experience an appreciable improvement in their visual acuity, post cataract surgery,” said Stephen Lane, MD.